Ericsson has joined forces with HomeSend, a joint venture between Mastercard, eServGlobal and Bics that focuses on mobile money remittances in emerging markets. 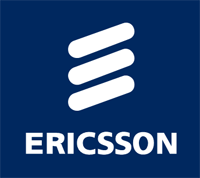 Ericsson’s digital wallet, Ericsson Wallet Platform, is now HomeSend Certified. The product has access to HomeSend’s network of money transfer operators, cash agents and banks in more than 200 countries. Peter Heuman, global head of mobile financial services, Ericsson, said the company was on an “inclusion and expansion” mission. The partnership offers financial services providers “a low-cost, simple and fast way to connect the HomeSend global money transfer hub with Ericsson’s mobile money offering”, Heuman said. Instead of multiple technical contract connections, the takers will need just one. The digital wallet can be used on smartphones, as well as older mobile phones. The cybersecurity wars of the future will be fought by good artificial intelligence (AI) bots and bad ones, with the rest of us just watching to see who wins.